Everyone, from young toddlers to adults, experience fears and anxiety from time to time. As we grow older these fears evolve from scary monsters under the bed to more mature fears, like taxes! As a parent, it’s important to learn how to best identify and acknowledge your children's fears so that you can help them cope and hopefully overcome them. It’s typical for fears to change with age, especially with children. These can change frequently from a fear of heights, darkness, insects, or to being left alone. It's important for parents to recognize and identify the signs and symptoms of kids' anxieties so that fears don't get in the way of everyday life. Anxieties that persist can become long-term and take a toll on a child’s sense of well-being. For example, social avoidance can lead to a fear of being rejected, causing social isolation. Separation anxiety is especially common when young children are starting school for the first time or going to summer camp. This can lead to children being very clingy and in some cases, a fear of separation as an adult. Sometimes when a fear persists, it can worsen. 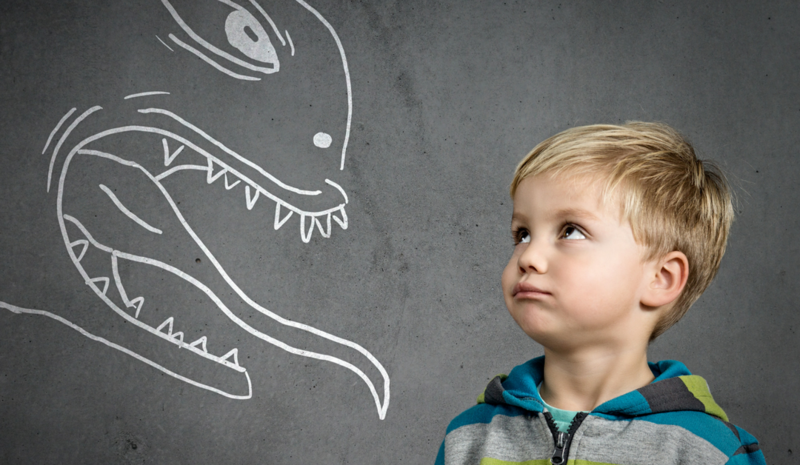 As much as parents hope a child will grow out of a fear, sometimes the opposite can occur. This is when the anxiety turns into a phobia, or fear that’s extreme, severe, and persistent. When phobias become severe, this may be the time to consult a mental health professional to seek advice. Fears and Anxieties Are Normal! First, it’s important for your child to realize that fears are a normal part of life. We all remember what it was like to be a kid and have our imaginations run wild. Assuring your child that fear is normal will help them realize that they are not the only ones with fears. Storytelling is a great way to share with your child fears you once had as a kid and how you overcame them. Here are some other tips to help your child overcome fears. It’s important to acknowledge your child's fears, but this doesn’t mean avoid them at all costs. If you realize a fear or anxiety may be present or forthcoming, provide support to help guide them through it. Lots of kids’ fears are caused by their own imaginations. Help them use the power of imagination to help beat their own fears. Instead of imagining a scary monster in the closet, have them imagine a knight in shining armor or their favorite superhero! Fusion Early Learning Preschools are committed to helping your child grow and overcome natural obstacles in their early childhood. Learn more about our curriculum or sign-up for a free tour of one of our locations!